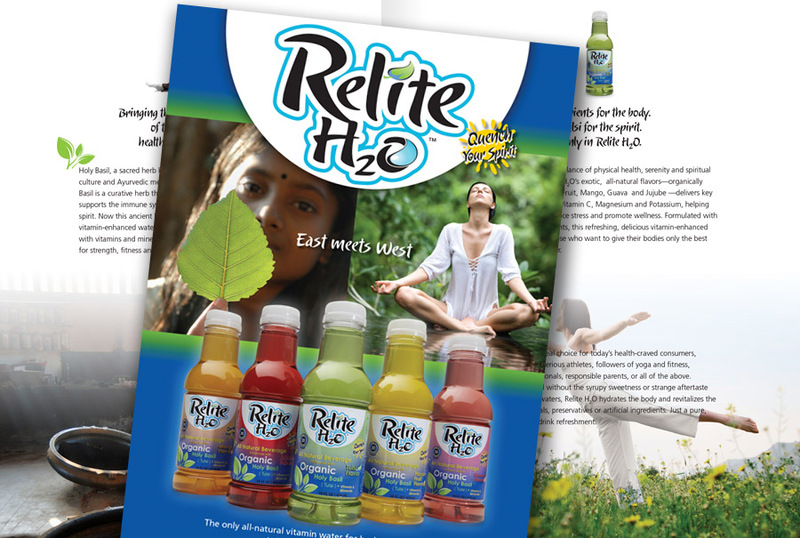 We create stunning catalog designs with photography, illustrations, color, typography and messaging that catapults your brand through the stratosphere. 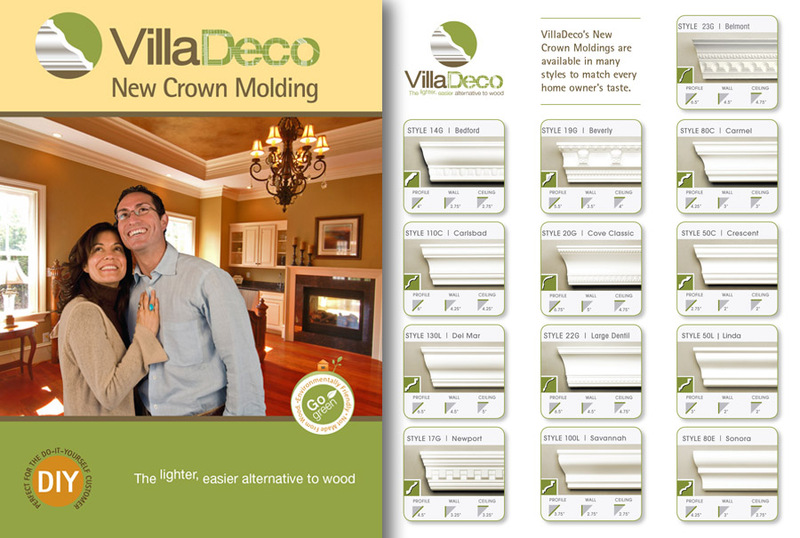 When you select Deal Design as your catalog designer, you get much more than artwork. 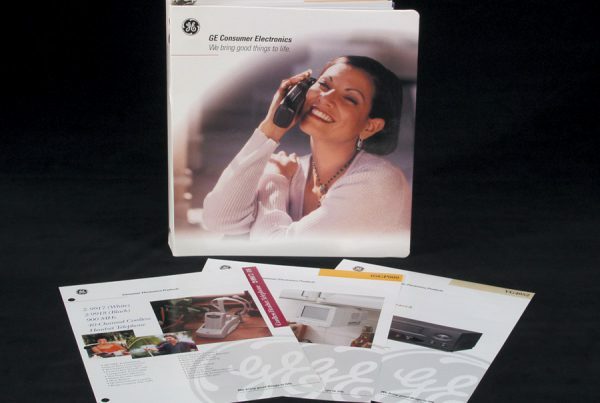 You get a team of experienced and creative brand strategists. We work with you to understand your brands’ unique values and benefits so we can sell them to your customers. With an understanding of the competitive landscape we will create brand designs that ensure your catalog stands out and your message is clear and unforgettable. 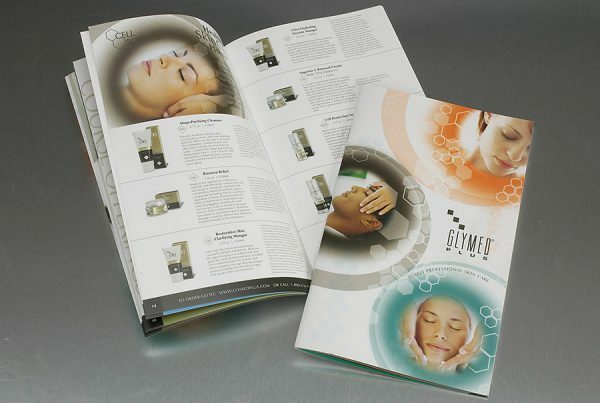 WHY CHOOSE DEAL DESIGN AS YOUR CATALOG DESIGNER? 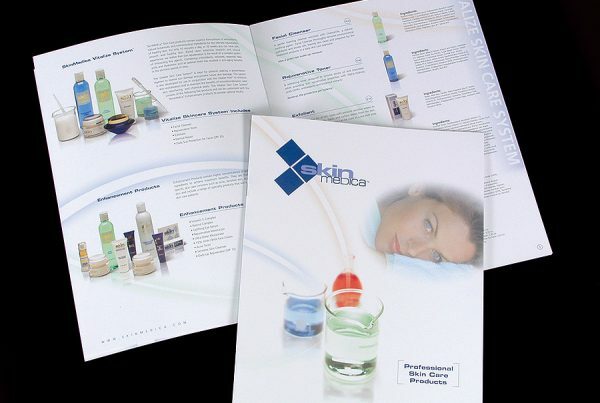 With a proven track record for successful graphic design that sells products, Deal Design has developed a catalog design process that ensures maximum creativity and speed of service while minimizing cost. We meet and learn everything you know about your product, its benefits, your customers and your strategic goals. 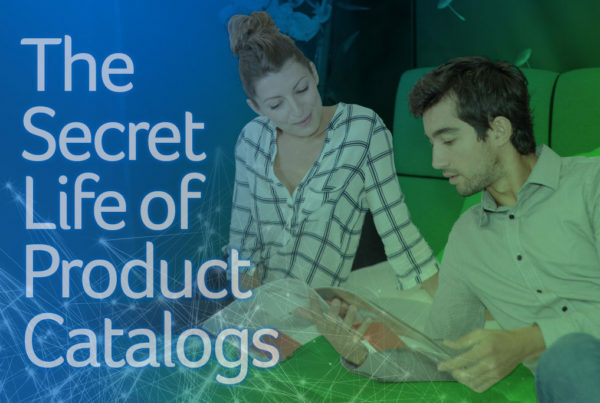 We share everything we know about your product category, similar successful catalog design projects, cost-reduction strategies for manufacturing, and winning brand strategies. Our team researches the marketplace to understand how your product and brand’s position will sit relative to your competition. This includes a competitive analysis, evaluating other product catalogs, and other successful companies that are achieving the results you want. It’s important to stand-out as being different and better than your competition. 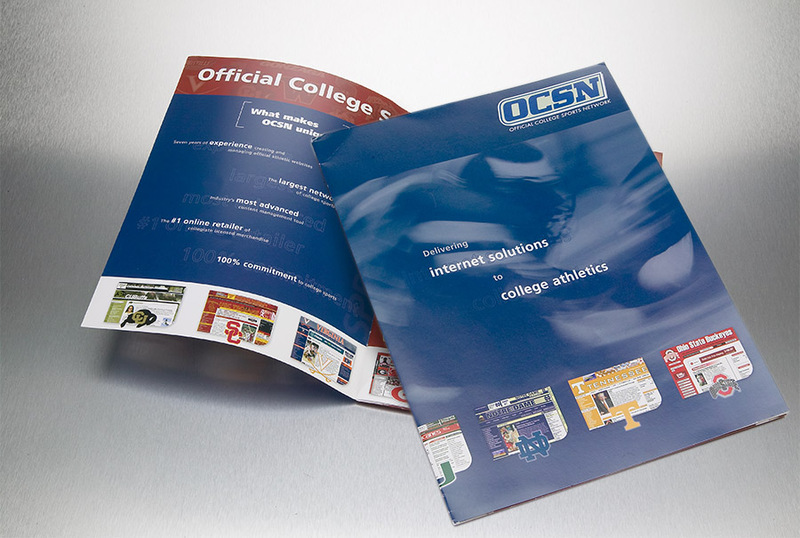 Our goal is to make your catalog design capture attention immediately, and convert viewers into customers. Next, we develop the strategic plan for your catalog design. This includes decisions about design strategy, printing and manufacturing materials, size, configuration, printing and manufacturing methods, messaging, imagery, style, attitude, color, photography, illustration and how all of these elements come together in the final catalog design. Special attention is given to your target customer to ensure the strategy matches their affinities. 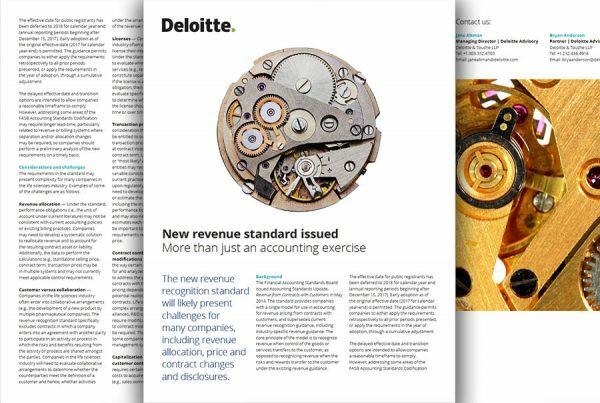 The key messaging is written that supports the strategy. The best text is short, captivating and immediately conveys the unique value and differentiators of your product. Special attention is given to any FDA compliance regulations that may dictate information displayed in the catalog design. We proof-read and edit text after it goes into the package designs to ensure errors don’t show up in the finished product. Our strategy will dictate what raw imagery needs to be photographed or illustrated as part of the design. Our creative team will handle the original photography, illustration and sourcing of stock images if needed. 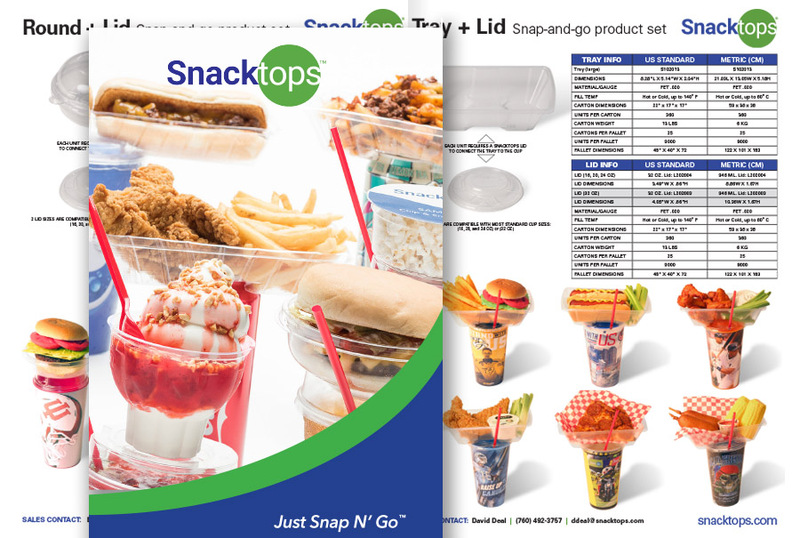 You will approve everything before it appears in the catalog design. We manage both in-studio and on-location photo shoots which you can be present for to ensure the result meets your expectations. This is the phase where everything comes together. 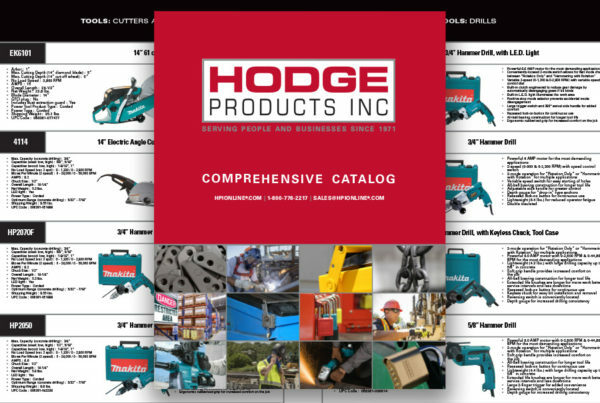 Our catalog designers create multiple design styles for you to choose from. 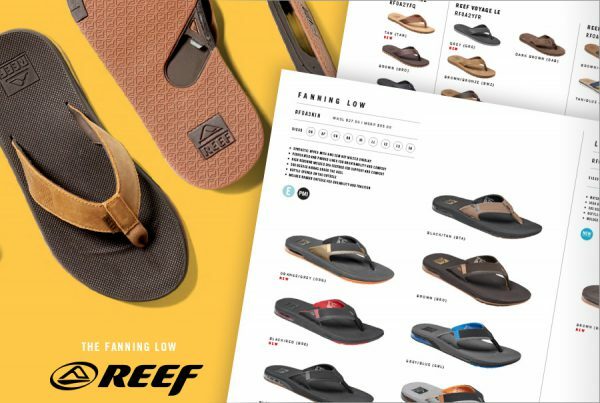 Often, the winning design is a combination of the best elements from these style options that merge into your brand’s champion, ready to win at the retail battleground. 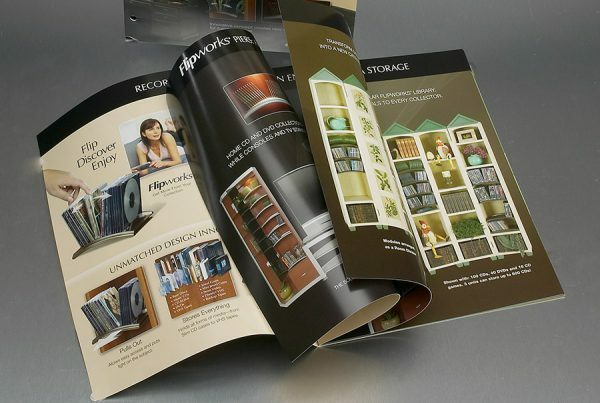 We can create physical 3D mockups of catalog designs during this phase so you can see exactly what the catalog will look like when finished. 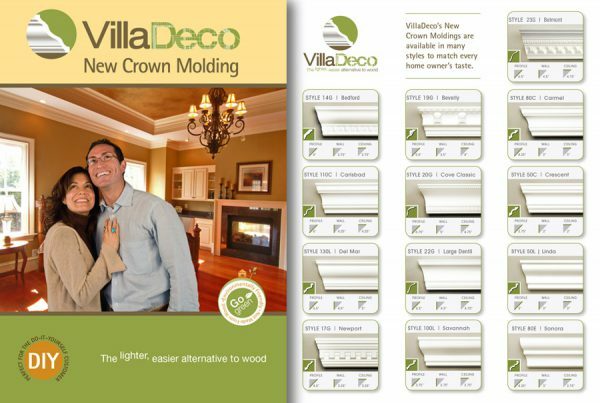 We act as your agent to ensure the final catalog design manufactured matches the designs you approved. 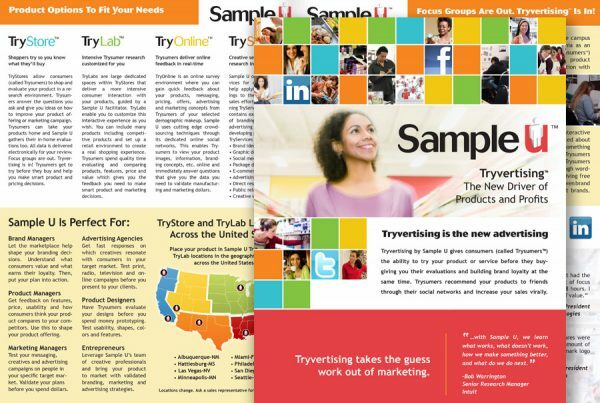 Anyone with experience in printing and production can share about the frustrations of how their graphic designs didn’t turn out exactly as expected because of production problems that could have been avoided if artwork was setup a different way ahead of time. 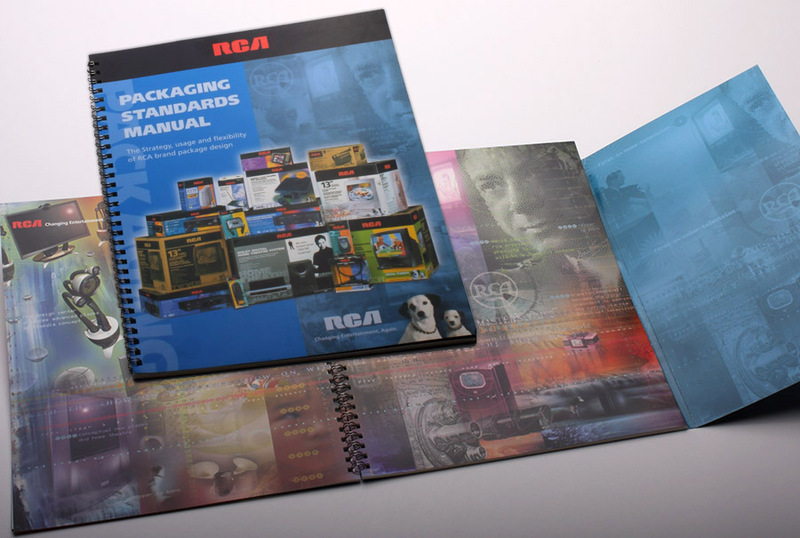 We are experts at knowing how to work with printing and manufacturing to deliver exactly what you approved. 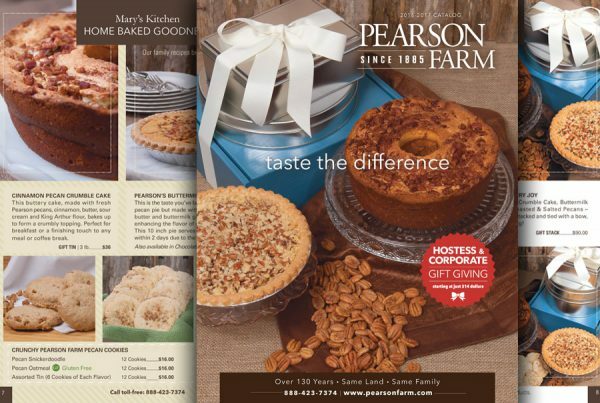 Pearson Farm has been providing America with the highest quality fruit and nuts for over 100 years. The brand needed a more contemporary catalog design to increase sales of their products for corporate and hostess gift giving. 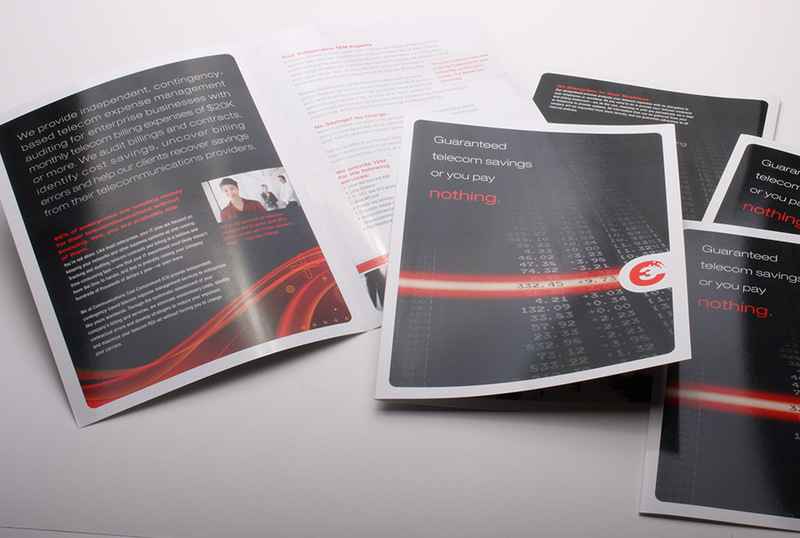 The solution was a clean, minimalistic and modern layout style with beautiful photography and clear messaging. 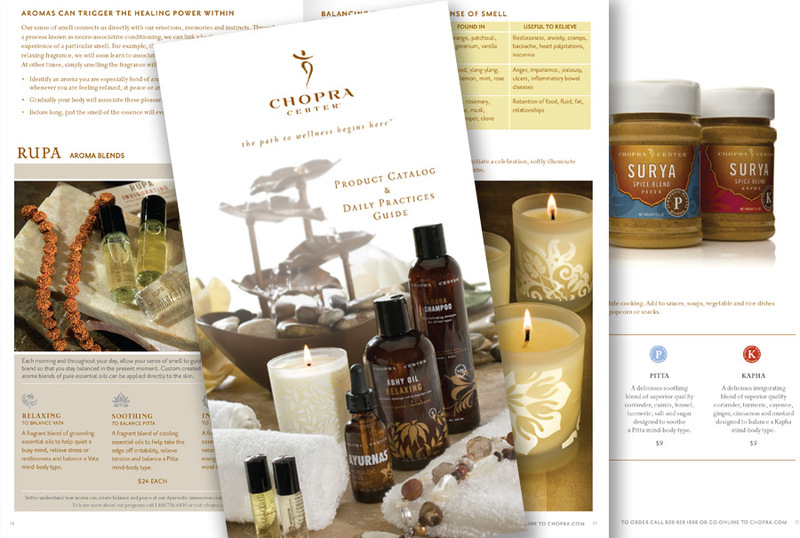 The Chopra Center, founded by Deepak Chopra, needed a sophisticated, calming and spiritual image for its product catalog. The solution was simply page layouts, lots of open space and elegant yet dramatic product photography. 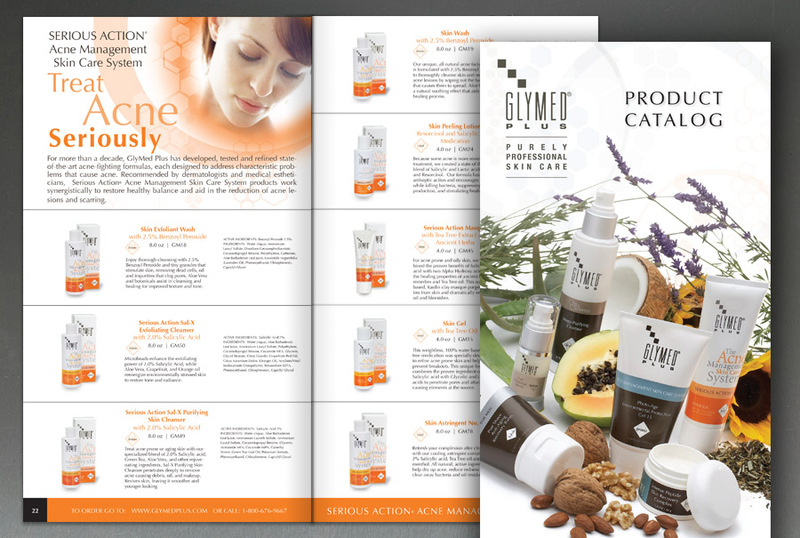 GlyMed Plus professional skin care provides dermatologists and estheticians with natural and scientifically advanced skin care products for use in high-end spas and clinics. 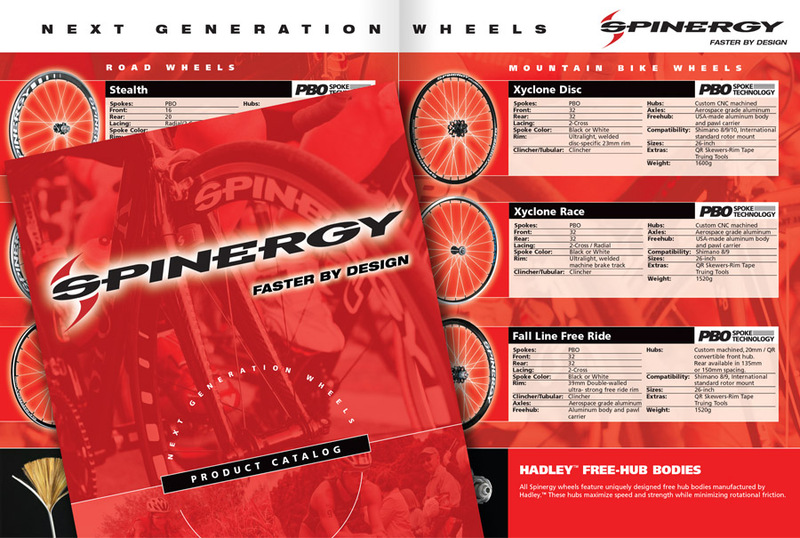 The brand's product catalog needed a clinical image and professional style.